Nintendo has revealed SteamWorld Quest: Hand of Gilgamech is coming to the Switch. The announcement was made during the latest indie showcase video, alongside quite a few other Nindies. For those who are less familiar with the series, SteamWorld is developed by Image and Form Games, now a part of Thunderful Games, and follows the adventures of steam-driven robots in a post-apocalyptic steampunk world. Previous games in the series were all over the gameplay spectrum, from the real-time strategy of SteamWorld Tower Defense to the action-adventure platformers SteamWorld Dig and its sequel, to the turn-based SteamWorld Heist. 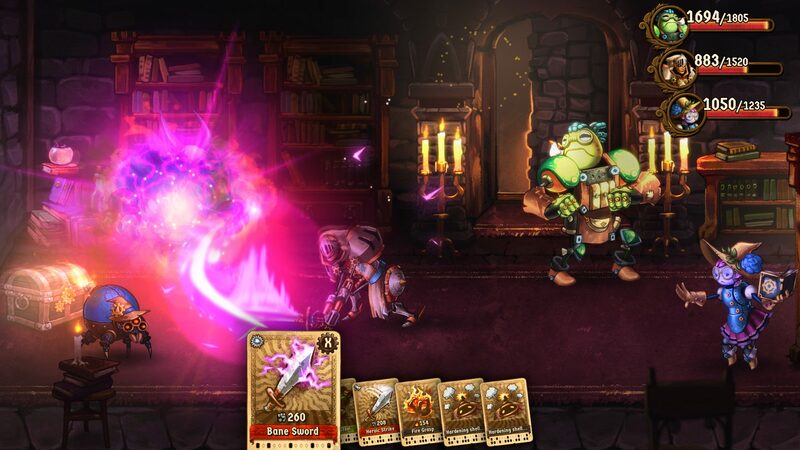 SteamWorld Quest is an RPG. 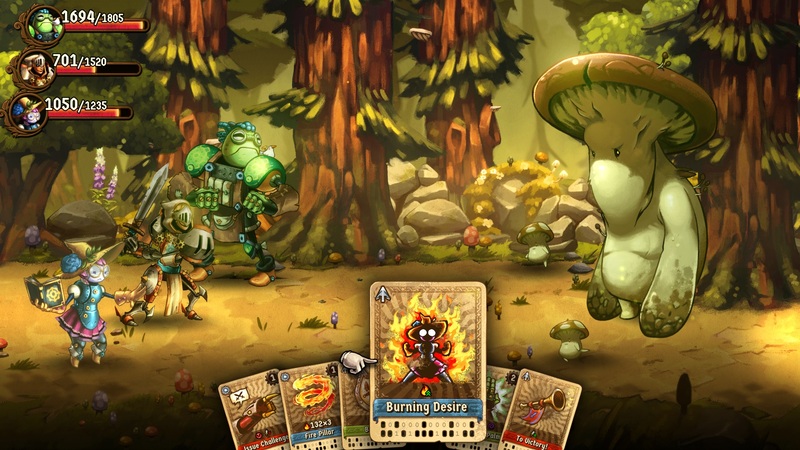 Specifically, SteamWorld Quest is a deck-building RPG in which we will lead a party of steam-powered heroes through a beautiful hand-drawn world full with enemies and fun humor. It’s what we’ve come to expect from the series’ mix of fantasy and steampunk robots. According to the game’s official site, we will be able to craft our deck of cards from over 100 unique punch cards. Battles will be turn-based, and we should expect to encounter some interesting enemies like giant mushroom knights and even dragons. We’ll still find all the “classic RPG” elements in there, too, like XP and treasure chests full of gold and loot. Judging from the trailer and screenshots released so far, the game’s animations and graphics seem pretty nice. While the battle system doesn’t look like anything new, I do hope that it will turn out simple and fun, just like with the other games in this franchise. SteamWorld Quest is coming to Nintendo Switch this year, with other platforms announced at a later date. I’ll be waiting for it.